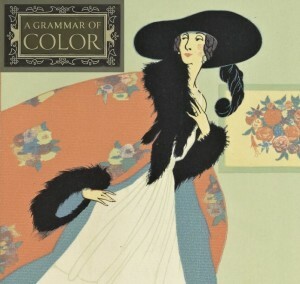 We have been posting excerpts from the 1921 book, “A Grammar of Color”, by T.M. Cleland with an introduction by Albert Munsell. The first half of the book focused on explaining how the Munsell Color System works, and suggested ways it can be used. We now start the second half of the book, which consists of some color illustration examples followed by a catalogue of color papers by the Strathmore Paper Company. In the original book, there is an almost blank page with only a brief description of the two pages to come. 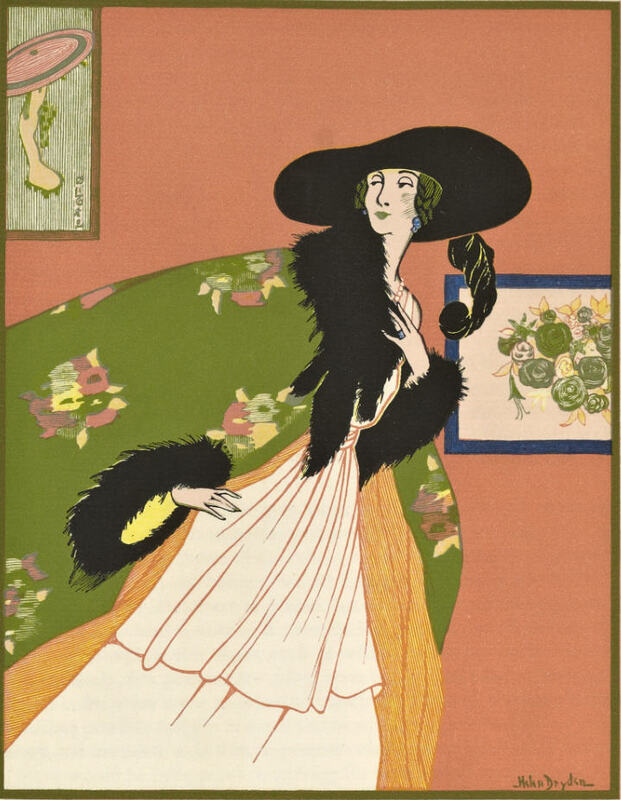 The following two pages each consist of a plate with an illustration by Helen Dryden for Vogue; the first plate demonstrates unbalanced color, and the second plate is corrected with an example of balanced color. 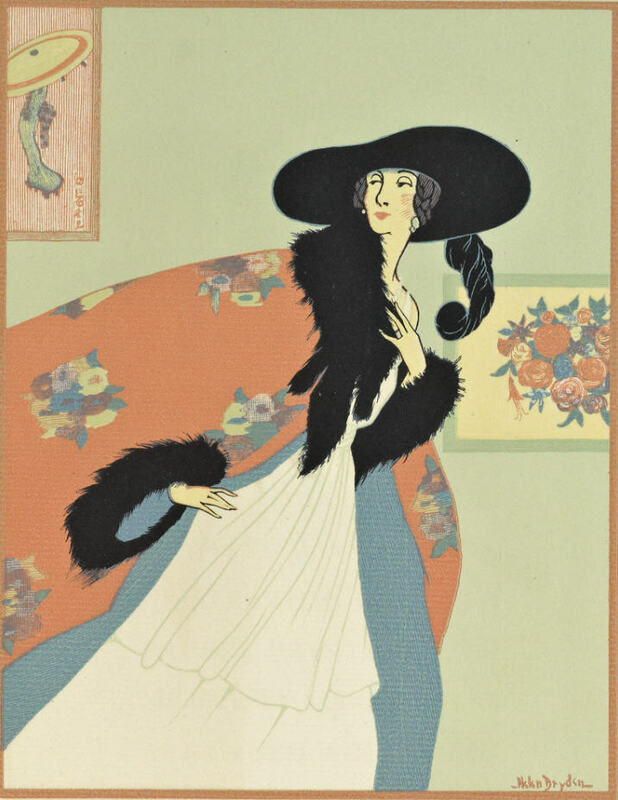 Helen Dryden was an American artist who was a fashion illustrator for Vogue magazine for 13 years during the time A Grammar of Color was authored. Rudolph Ruzicka was a distinguished wood engraver, etcher, illustrator, typeface designer, and book designer. The colors in this proof are poorly related and do not balance in neutral gray. In the first circle these colors are shown in approximately the same proportions of area that they occupy in the picture. If this circle were rapidly revolved, the resulting mixture would be as shown in the solid circle. In this proof, made from the same plates as the one on the opposite page, the colors are correctly related. The approximate proportion of area of each color to the whole is shown in the first circle. The neutral gray, which would result from an admixture of these colors in these same proportions, is shown in the solid circle. I did not know Munsell Color Balance concept could be tested with a spinning wheel that should equate to gray. Thanks!